Prevention and Control category: KISC Target Species. 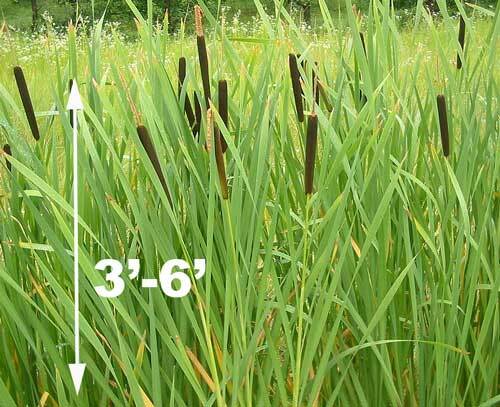 Cattail is a wetland rush with stems that can grow 3′ to 6′ tall. The long, thick, pale-green leaves are straight on the bottom but slightly twisted and spiral at the top. The flowers are brown and minute, clustering into a cigar shape that is 4″ to 7″ long. Cattail is among the most common of all aquatic plants. Each flower head can produce 250,000 seeds that are quickly dispersed by wind and are viable in the soil for 100 years. Cattail form dense monocultures that spread rapidly and form dense mats. They can easily take over wetlands and crowd out native plants. The endangered Hawaiian stilt and koloa duck are displaced by cattail. Cattail also threatens the taro industry by invading the lo’i (taro patches). Removal is difficult and often prohibitively costly for small taro producers. In addition, cattail can impede water flow and increase bank erosion and siltation. Cattail is native to many areas of the world in freshwater wetlands, marshes, lakes, coastland, and riparian and estuarine habitats. Cattail is currently found on Kauaʻi, Oʻahu, and Maui. On Kauaʻi, cattail have been found in shallow waters in Māhāʻulepū, Niumalu, Keālia, Nukolʻi, Puhi, Waimea Valley, Kōloa, and Hanapēpē. The largest population is Makaweli Valley in taro patches. 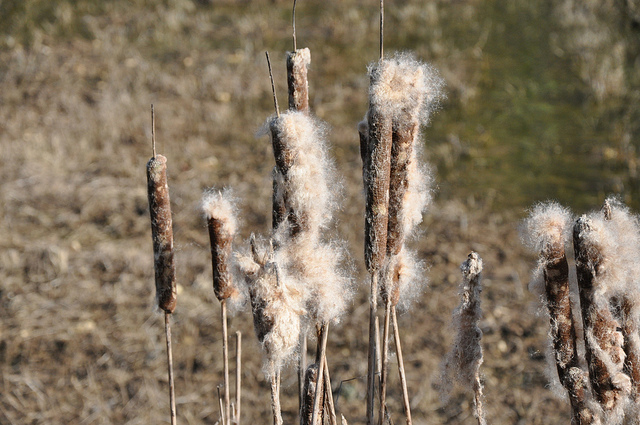 Please report any new sightings of cattail so we can stop the spread of this invasive pest! If you see this species, call your local ISC for information about control of this plant. 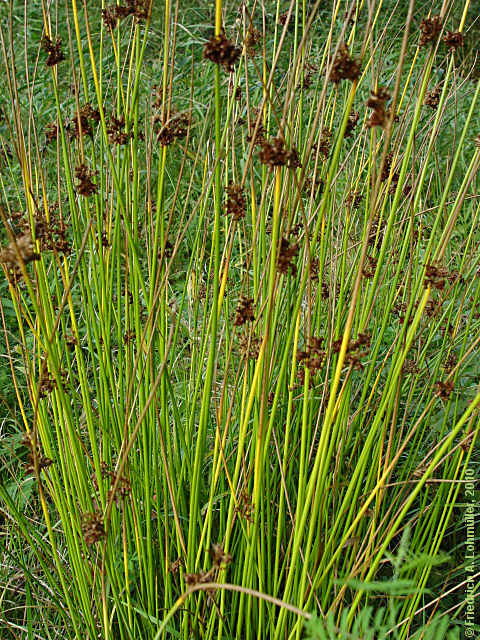 Japanese m at rush (Juncus effusus): Japanese mat rush is an invasive rush commonly seen on Kauaʻi. It has round narrow stems unlike the flat stems of cattail. It also lacks the cigar like flowers of cattail. THIS LOOK-ALIKE IS ALSO A PEST!